This traditional carbondust study of the equine carpus lateral view was created during the creation of my masters thesis project where I was studying type 1 and type 2 equine osteoarthritis and how it affects the joints of the horse. 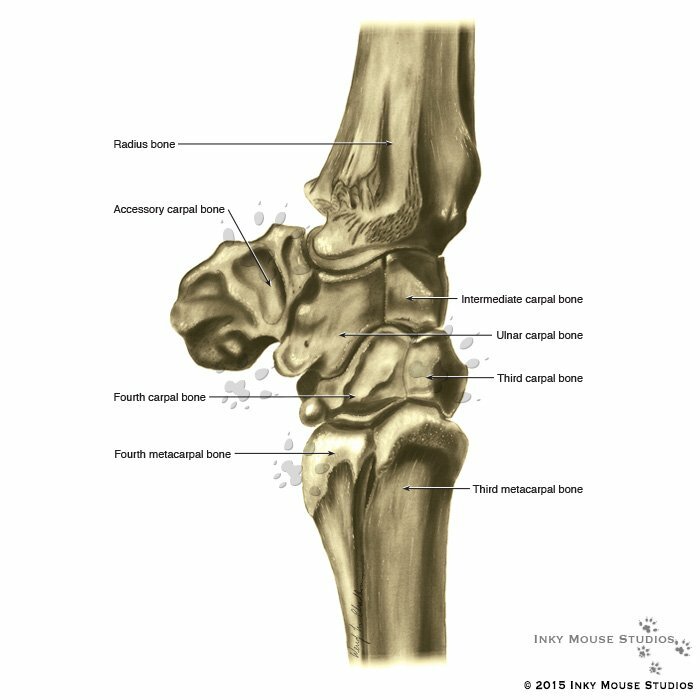 To complete the study of this complex joint there are also illustrations of the anterior view, posterior view and medial view. This illustration has been adapted into a digital color version for certain applications, such as magazine publications, in which more natural bone coloration was preferred over the original greyscale version. Both versions can be viewed on the slider on this page. These images are available with or without labeling as needed.